I’ve lived in Virginia for most my younger children’s lives. My older son and his family live in Virginian. My daughter-in-law’s family lives in Virginia. My younger children are fortunate enough to receive their college educations at prestigious Virginia Universities. I love Virginia History from Sir Walter Raleigh, the Powhatan people, Washington, Lee, Jefferson, and NASA mathematician, Kathrine Johnson. I consider myself a Virginian. 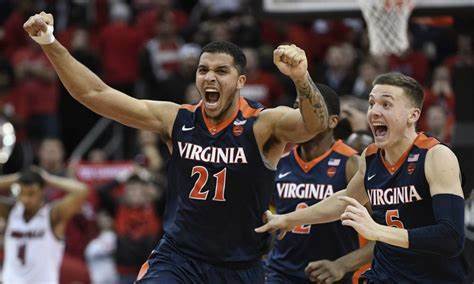 However, when TV sports experts announced that the recent UVA basketball championship “Will be remembered forever!” I saw a bit of exaggeration. With Americans, we’re talking about people who can’t tell you Virginia’s role in slave trading or why Washington, DC is half its planned size because they returned Virginia’s donation of land. But they will remember the 2019 Basketball Championship? I grew up during the early days of the space program. At night, when Echo I–a satellite that was essentially a giant, shiny Mylar balloon–passed overhead, the whole family would go outside. A clear sky, the overflight time from the local newspaper, and we’d watch until we saw that tiny speck of light pass overhead. The Mercury program gave us America’s first manned space flights when I was in grade school. For each launch, someone would bring a transistor radio–the latest thing–and the whole class would listen. Somewhere during the tail end of the Mercury program and the beginning of the Gemini program, the radio was replaced by a television. While most televisions were large and treated as a piece of furniture, some of my classmates had a smaller television that was (barely) light enough to transport to school. The picture was black and white, but then, most televisions were. When Apollo 11 landed on the moon, I sat on the couch with my girlfriend and watched, transfixed. Apollo 12 didn’t generate as much interest, but when Apollo 13 suffered a near catastrophic explosion, everybody followed coverage until the astronauts were safely home. Later, when I lived in Florida, along the Space Coast, I could watch launches–including the space shuttles–from my driveway. One time I drove up to Cape Canaveral to watch a shuttle launch up close. First there was the sight of the liftoff, which was followed by the sonic roar and a pressure wave against my chest that attested to the power of the engines. But, what I remember most fondly, is the final stage of the countdown as the flight director polled each section to ensure that the mission could be successfully launched . Each function had to make sure their area of responsibility was ready. Each wanted desperately to add their affirmation–to say yes and to agree to move forward. I’ve never been crazy about switching back and forth between standard time and daylight savings time. I realize that daylight savings time is worth billions of dollars to the outdoor grill and charcoal industries, the gulf courses, and–at least on Halloween, the candy manufacturers. But why switch back and forth? Oh, I forgot, our Congress came up with that idea to save energy, even though it actually uses MORE energy and there’s a great loss of efficiency whenever we change. Time is pretty arbitrary to begin with. If you set up a sun dial in your backyard, with precise orientation, the time at your location is very unlikely to match the time your clock/telephone/nuclear synched weather station, etc. We have time zones because the railroads needed it back in the 19th century–today I guess it’s for network television. Take the Eastern Time Zone. It stretches from Qaanag (Thule), Greenland to Indianapolis, Indiana, USA. In Qaanag, sunrise today is at 0819 (8:19 AM) with sunset at 1912 (7:12 PM). In Indianapolis–in the same time zone–sunrise is at 0758 (7:58 AM) and sunset at 1949 (7:49 PM). On the east coast of Virginia, sunrise is at 0719 (7:19 AM). Since it is so arbitrary, anyway, why don’t we just stop switching back and forth. Personally, I’d prefer staying on daylight savings time–I like a little sunshine after I get off of work. Back in the day, one read the daily newspaper to find out about important events around the world, across the country, and in one’s local community. By the 1960’s, the source for news had shifted to the television, primarily because of its coverage of the war in Vietnam. However, newspaper readership was not eviscerated by television. Today, of course, if it’s on the Internet it has to be true and if it’s not on the Internet, well, it virtually doesn’t exist. If it’s on Twitter or Facebook (apparently depending on your age), you can take it to the bank. Military “Meals Ready-to-Eat” known as MREs have a label which includes a silhouette that reminds people of President Trump. Hong Kong is being overrun by wild boars. American tourists do at least 20 things that the world hates. Thanks to some tiny Pacific Ocean islands, The USA does not have the most obese children in the world. I could go on, but armed with this knowledge, be assured that I’m much better prepared to face the world. In many retail stores I find several recurring themes–none of which are particularly appealing. Everything gets moved around. This is true at WalMart, the local grocery store chain, and who knows where else (I don’t shop too many other places). Once everything is moved (at least at the grocery stores), the prices are raised by about 10 percent. Of course, the idea of having employees available to answer questions, like, “Where are the clocks that used to be here?” died a long time ago. There are employees available, but they’re busy stocking shelves. Shelves are no longer stocked at night, but instead, at the peak of business activity, and giant carts loaded with merchandise are used to make passage through aisles absolutely impossible. It’s bad enough that shoppers are expected in 9 out of 10 cases to scan and bag their own purchases. However, the use of the plastic bags that defy all human efforts to open them (i.e., the front and the back stick together no matter what you do) manage to raise the bar on customer frustration to an all-time high. Each of these practices are irritating, but since they seem so widespread, I have to ask. Did some retail guru (perhaps from Radio Shack, Sears, or J.C. Penney’s) promote these ideas? We may never know, but we are entitled to our suspicions. Hey! Haven’t We Seen Him Before? Reg Blank, Max Headroom, William Morgan Sheppard, and . . . Sheppard as a Klingon? Everyone–or at least everyone of my age–has heard of the six degrees of separation (from Kevin Bacon). If you don’t know->click here. I’ve read some reasonably academic(ish) articles about how people are connected, and in the entertainment world it is not the big-name actors who are the connectors, but the character actors. Why? Sylvester Stalone, Julia Roberts, Reese Witherspoon, or (add your favorite star here) carefully choose the roles they will undertake. John Wayne, for example, was an action figure–a cowboy hero, a military hero, etc. Character actors, on the other hand, show up in a variety of movies and television shows. They get to play all kinds of roles. They also (probably) get to go to the grocery store without being accosted. However, character actors still have roles that leave lasting impressions. One great character actor, William Morgan Sheppard, died in early January. You can check him out on IMDB if you wish–you’ll probably find something familiar. As for me, of all the roles he played, my favorite was on Max Headroom. There was a group of nonconformists who refused to be connected to the computerized network and were not identifiable. To the network, they merely appeared as missing data–blanks–and Blanks were what they called themselves. Sheppard played one of the key blanks who even had his own radio program. His name? Reg Blank. Great character acting. Great concept. Frighteningly prescient for a Facebook connected world. Here’s a peek. Bill, if I may, thanks for adding your flavor to the world of entertainment. I haven’t been writing much lately–well, actually I have, but just not blog entries. I’m mainly working on the story / book / whatever that I mentioned in the past. It’s not quite 200 pages, but still needs a lot of work. In the meantime, I thought I’d focus on a uniquely American practice that I personally find irritating. I try to support hardcopy publications, such as newspapers and magazines. However, I get very frustrated when I sit down, look at the front page of the local newspaper and see four to six articles, with every single one continued somewhere within the bowels of the newspaper. Editing is the inverse of writing. When writing, one attempts to put thoughts into words. Editing, though, tends to take away as many words as possible achieve other ends. For example, editors today are scratching out any positive features of a thought. The Democrats are stupid, but then so are the Republicans, and don’t even get me started about the independents. We can dispense with facts, figure, and insight while we focus on the latest “Entertainers Pat Themselves On the Back Event” and evaluate which female had the most skin exposed while wearing her formal gown. Then, of course, there’s the screaming headline–based on preliminary untested data–that coffee, wine, cheese, pomegranates are gong to kill you faster than a sniper’s .50 caliber high velocity bullet. Did I say kill? I meant that it would let you live damn near forever–and regrow hair where you want it and eliminate it where you don’t. And then–and this is incredible–whoever doesn’t like it will call it fake news! The most recent reason that I’m offended is that so many people are so easily offended. On the other hand, maybe the media just focuses on offended and offensive people. I find it all offensive. – I’m offended that a major topic is that the movie Love Actually is not an appropriate Christmas movie, is totally wrong, and is offensive to some people. – I’m offended by the kerfuffle caused when the candy maker Hershey offended so many people because the little curl is no longer at the top of Hershey Kisses. – I’m offended that Vladimir Putin thinks that rap music should be guided by the government—and I don’t listen to rap. Nevertheless, it still offends me. It’s all very offensive that people are so easily offended by minutiae when there are so many major problems in the world. I’m reasonably certain that this will offend you, but I needed to express how offended I am. And if you’re offended by my comments, that offends me. As I got older, my eyes began playing tricks on me. I believe I mentioned a long time ago that I looked at a sign in front of a motel and read, “Congratulations to our ghost of the week.” It actually said “guest,” of course. My eyes’ version is definitely funnier. The scam-likely warning is better than nothing, but you would think that a nation in which every person under the age of thirty had a cellphone before they were potty trained could figure out how to stop these callers. Unfortunately, not. I admit, knowing how many billions of dollars these con artists make, I’ve tried to figure out how I’d milk this cash cow. I could robocall millions of people and tell them that I’m an IRS agent holding a Nigerian Prince, and his bag full of money, hostage. Then I’d demand $10,000 in bit coin or I’ll force the Nigerian Prince to infect their computer and erase all their files. On the other hand, it’s easier and more profitable just to work a legitimate job. I have rarely met high and lofty people, but there have been a few, very few. During my deployment, which occurred while George W. Bush was President, his father made a trip into theater and shared some impromptu chatter with everyone present in the theater/chapel/auditorium/etc. building. The only specific I remember is that his son, “W,” had switched from jogging to riding a bicycle. He had a habit of, well, trying to be as courteous as possible, succumbing to gravity (i.e., falling down). George senior said that he and Barbara both wished he’d choose a safer physical activity. After he made his comments from the stage, I saw him outside chatting with a number of the enlisted folks and junior officers (in desert cammies, we all looked pretty much alike). I would have liked to have joined them, but my presence would have distracted from their time with “41,” so I went about my business. He knew where he needed to spend his time and so did I. Among those in the Navy, the traditional, final farewell is “Fair winds and following seas.” May the wind fill your sails without threatening your ship and may the tide be favorable to your trip. Mr. President, you were truly an officer and a gentleman; not perfect, but a very real human being. You are in a better place, with your wife and your daughter, and you deserve to be with the ones you loved. Writing can be like a partial conversation among friends. Writing can be therapeutic by admitting to things that concern or anger you. Writing can be artistic as you commune with the muse whose job it is to inspire you. However, writing can also be work. Lately, I haven’t written much because inspiration has been difficult. As an idealist who likes to believe that by pulling together we can accomplish anything, today’s “I’m right and you’re wrong” attitude is a definite buzzkill. What’s wrong with “My opinion and your opinion are mutually exclusive and universally exhaustive, but go ahead and tell me about your opinion anyway,”? Nothing, but instead of conversing, we prefer to find an internet site, radio station, organization, or whatever that reinforces our own opinion. It’s easier than critcally thinking. In 1998, Andrew Wakefield published a flawed–if not faked–study that linked autism to childhood vaccinations. The study was discredited and the former Dr. Wakefield was stripped of his medical license. However, some believed–and continue to believe Wakefield’s tripe. Right now, in Asheville, North Carolina, 36 children are suffering from chickenpox. While chickenpox may not be fatal–although in some cases it has, it hopefully won’t be for any of these children. Meanwhile, their parents will most likely continue to limit themselves to associating with others who agree with their concerns about vaccinations. I have been a Verizon FiOS customer for over ten years. Initially, it was a reliable service, and I chose Verizon for television cable, internet, and telephone. Unfortunately, Verizon’s service has not gone downhill, but rather over a cliff. First, Verizon migrated its e-mail to AOL. If I wish to remotely access my email through AOL [advertisement spam] I have [advertisement spam] to wade through [advertisement spam] a series of [advertisement spam] screens. I normally receive my email through Microsoft Outlook, so, most of the time it was not an issue. However, [advertisement spam] at times [advertisement spam] I have to go [advertisement spam] through the AOL [advertisement spam] website. Next, Verizon shifted email accounts to the Yahoo domain without informing its customers. I have two Verizon accounts that I access through Outlook; one migrated successfully to Yahoo while the other did not. It is impossible to access Verizon customer service. There are no telephone numbers on the web page; clicking on “Contact Us” takes the customer to automated chat, customer forums, or a bounce back to the previous page. The Customer Forum is especially Verizonesque—it shifts the responsibility to customers to fix Verizon’s problems; the most recent forum posting about email is dated 22 June 2014. I contacted [advertisement spam] AOL [advertisement spam] only to be told, albeit politely, that this was a technical problem and technical service required a subscription of $14.99 per month. They gave me one month free, but required a credit card, to automatically renew unless I canceled. I grudgingly provided my card information. I was transferred to technical support (~20-minute wait time) and after two hours, absolutely nothing was accomplished. So, I’m left with the same problem I had before. Incidentally, there are a number of sites on the Internet, easily Googled, with other customers facing the exact same Verizon/AOL/Yahoo e-mail problem. Pick at the Peak of Ripeness! September is when the hurricanes off the east coast of North America become ripe enough to be harvested and truly enjoyed. Like grapes or tomatoes, there are a few outliers that ripen earlier, but also like tomatoes and grapes, early hurricanes lack that full-bodied flavor that literally knocks you off your feet–sometimes permanently. Like tomatoes, hurricanes are best when picked fresh off the vine and tasted immediately. If you don’t live in an area that experiences hurricanes, it is difficult to truly share the experience, but, I shall try. First, although the wind looks impressive on television, it is the storm surge of water that kills the most people. In Virginia, where we have been assured that there is no climate change, the sea levels have inexplicably risen and the land has subsided–a fancy word for “sunk.” The land sinks because industries such as paper mills pump so much water out of wells that the land actually sinks. Evacuation is an option, but if you are not on the road at least three days before a hurricane makes landfall–with a confirmed reservation at a hotel well inland–you are going to bounce around in your car stuck in a 200 mile traffic jam in high winds heavy rains, and other cars tunning out of gas. As the storm approaches, the water comes into the rivers and tributaries at high tide, the wind tends keep the water trapped inland, so the next few high tides keep adding. Then, there’s the rainfall. Yesterday–long before the hurricane is due, we got between 3 – 5 inches of rain. Since the most important thing around here is real estate development, all the low-lying wooded areas have been elevated so that instead of the water flowing into those areas, it flows the other way, into mature neighborhoods. Since electricity is also lost early in the game, the sewage treatment pumping stations fail; the water flowing through the streets tends to exhibit wads of toilet paper and worse. The loss of electricity also means, given that there was never any global warning, everybody gets to enjoy the 90+ degree temperatures and 80+ percent humidity sans air-conditioning. Plus, ATMs, gas pumps, cash registers, etc. don’t work without electricity, so forget your debit or credit card. It’s exact change, cash only. It’s not a complete picture of what you may be missing, but hopefully it will help you share in our experience. I’ve been working on a story for a while, but writing it keeps getting in the way. As George Lucas supposedly said, “Movies are never completed, only abandoned.” The same is probably true of stories, so I’m going to publish–on this blog–at least a chapter a month. I make no promise that a particular chapter (including one that I may publish) will not be removed or eliminated. Welcome to the wonderful??? world of writing. You may have the chance to experience my dreams, frustrations, pain, and stupidity, as I try to write a story. I’ve already changed at least five chapters, but, interestingly, all of the characters remain, although their experiences might be different. If I share, I’ll try not to be too confusing (I’m not responsible for confusing myself). If it’s worthwhile–I hope you enjoy. Chapter One is coming soon. I try to stay out of politics for a variety of reasons, not the least of which is that I have a hiatal hernia and gaastro-esophogeal reflux disease. However, from time to time, I come across facts that are just too interesting to keep to myself. —–Every western nation seems to be wrestling with the issue of immigration these days. Interestingly, there was a recent discovery by the Anne Frank House and the Holocaust Memorial Museum that Anne Frank’s father had applied–twice–for permission to move his family to the United States, but was turned down due to “American bureaucracy, war, and time.” ** As everybody is probably aware, Anne Frank spent much of the war hiding in a secret room in the attic, was eventually found, arrested, sent to a Nazi concentration camp, and died only a few weeks before the British Army liberated the camp. I haven’t been blogging much lately, because everything in the news, on the internet, etc., is portrayed as bad–some/much of it for cause. It makes me feel like I’ve been whapped with a rolled up newspaper and sent to my bed (subtle hint above). I looked under my bed for a book and found several bad news stories crawling around–if there had been dust bunnies, they would have been able to hide–but unfortunately for them, there was no cover. They were out in the open. One news story involved a celebrity who is a celebrity because she is a celebrity (or is it the other way around?). I bravely grabbed that story (kicking and screaming), held it an an armslength, bypassed the trash cans, and tossed it into the creek into which the stormwater drains. That was a mistake. I didn’t think that one small story would have an environmental impact; I heard the splash, but it was followed by a dozen paparazzi, several cable news “reporters,” and at least 200 sycophants. The surface of the creek looked like the oil slick from a supertanker leak. Sorry about that. It was unintentional. So, if I don’t comment on everything in the news, please don’t think I’m ignoring it. I’m probably, well, feeling like I’ve been whapped by a rolled up newspaper. Not everyone who signed the Declaration did so on the fourth of July. There’s no complete record as exactly who signed when. It’s probably safe to say that John Adams, Ben Franklin, John Hancock, and Thomas Jefferson all signed on that day (Hancock signed first and large–so King George could read it without his glasses). The last signer was probably Matthew Thornton from New Hampshire, who wasn’t elected and seated in the Continental Congress until November; he asked for and received the privilege of adding his signature at that time, and signed on November 4, 1776. We should never be surprised if politicians do not deliver in a timely manner. Given the importance of the event, maybe it would be better to celebrate Independence Month! As much as I like to write, I like to read even more. Years ago, for Christmas, I had surprised my wife with an iPad–even though my son told me it was a waste, because she’d never use it. In actuality, she is rarely without it. For Fathers’ Day, my wife surprised me with an iPad, and–except for at work–I, too, can rarely be found without mine. So, where does that lead me? Why, things to see and read, of course. Sometimes, I’m drawn to a book, perhaps through its adaptation as a television series. For example, I happened to stumble across the series The Magicians on Netflix (although I understand it started on the ScyFy Network). I found it intriguing, albeit a bit hard to keep the characters sorted out. I watched all the episodes that Netflix had, which was apparently two of four planned seasons, and enjoyed them, but figured that there was more, and potentially better available. It’s a writers’ bias thing. In any case, I downloaded the three Lev Grossman Magicians books (one at a time, of course) and have read two and a half of the three over the last two weeks. The images that appear in my mind when I read a story are–at the very least, so much more personal–and possibly so much more real than what any screenwriter, director, or actor could produce, no matter how talented thay are. Imagnation is so much better than reality. Nevertheless, I appreciate and enjoy both the books and the videos. Thank you authors, screenwriters, actors, movie and television crews for such wonderful diversions.